endeavour, we also breed boerboels and German Shepherd. our drive is borne out of companionship these dogs offer as well as security they provide. pls feel free to talk to us and we shall be delighted to do so. Your satisfaction is our pleasure . 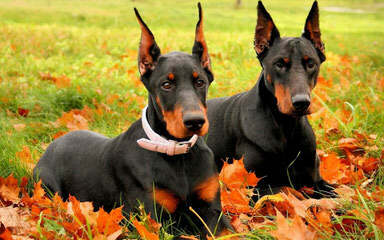 Breeder of Doberman Pinschers for conformation, performance, health, and temperament. 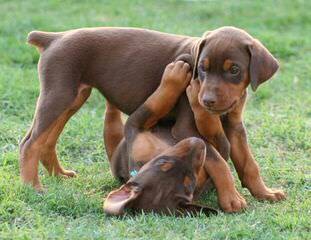 Puppies are raised in home and are all docked, cropped, and have dewclaws removed. 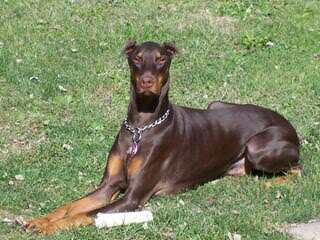 All puppies come CKC registered and microchiped. Located in Winnipeg, Manitoba. Litter born Oct 16, 2015. 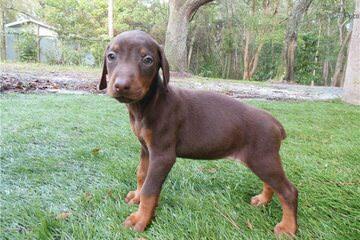 Red males are still available. 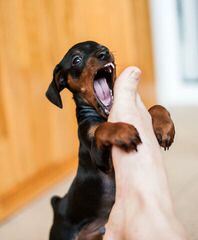 Puppies are well socialized and crate trained. Please visit our website or contact us by email for more information. 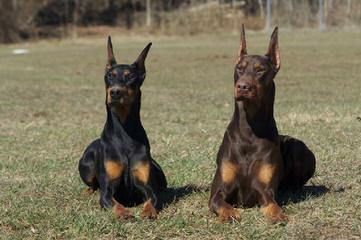 Breeder of CKC/AKC Champion /TT/WAC titled North American Dobermans for the past 25 years. Exciting spring 2015 planned to approved homes only … On a Contract. Block 5 Room 8, ETF Hall, Obafemi Awolowo University. They are 12 in number and there are 10 females and 2 males. They have had their first deworming and DHLPP. If you are interested contact these phone numbers: 07052837588 or 08079688158. 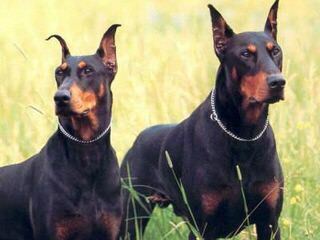 Breeding,the German Dobermann for over 30 years. Check us out, you will not be disappointed. 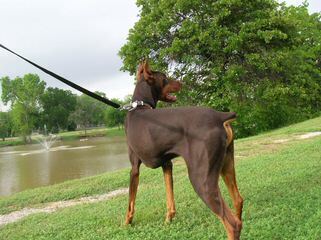 our German Dobermann’s will do the job every time. 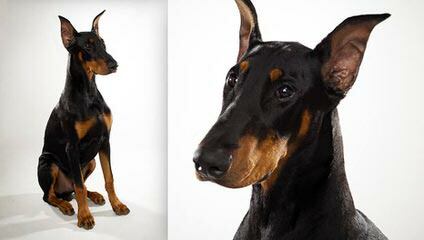 We breed our Dobermans for temperament, health, and companionship. 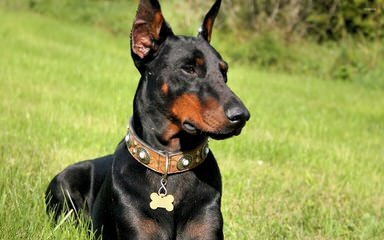 Our focus is on Dobermans as family companions and protectors. always full health testing completed before breeding. 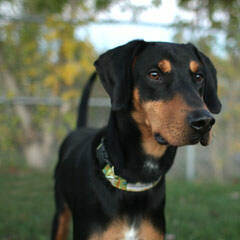 Alonzo is a DIRECT import from Hungary! 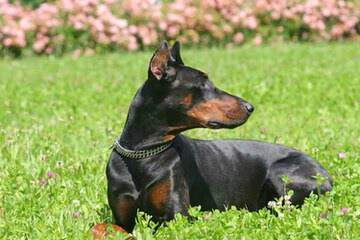 His bloodline is from some of the best in Eastern Europe – his sire is Di Peranera Kennel of Hungary and the dam is Gem’ Givveeon Kennel out of Russia. 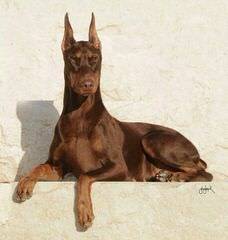 These bloodlines have created a loveable family dog with excellent temperament and drive. He shows and works well. He is the best of all worlds. 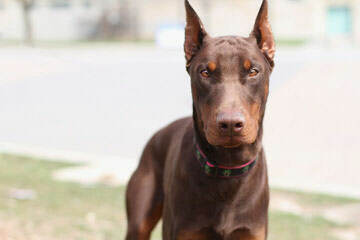 He is an impressive Doberman with very dark mahogany markings, a big head, perfect conformation, excellent muscle tone and thick bone structure. He does not have any white, blue or fawn traits in his bloodline. 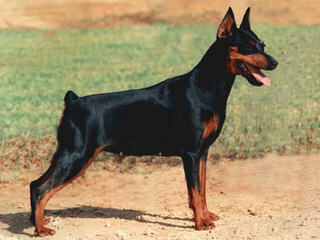 He will produce nothing but the best and, sires at least 10 to 12 pups per litter. At a height of 30” and weight of 95lbs (and still gowing! 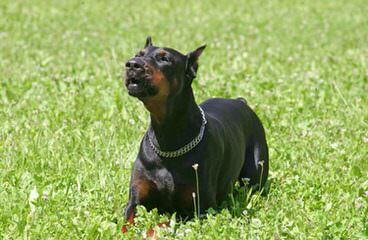 ), Alonzo is very alert and not afraid of anything. 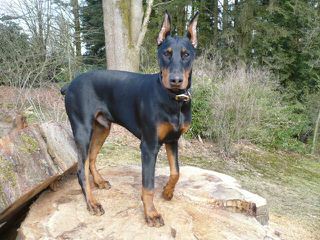 He is protection and obedience trained and is currently being trained to get his first title this year in the French ring sport. He is also being trained to received his first Brevet. 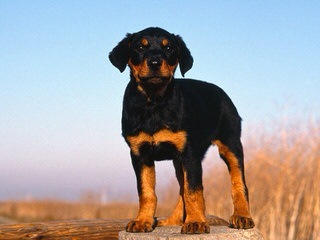 We offer FULL AKC with a 15 years generation pedigree. 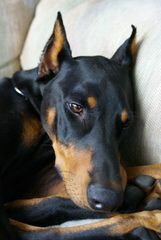 So if you are a SERIOUS about getting an exception Doberman of you own, please call Richard at 949-407-9989. If you want to view him please call and give us a 24hr notice. Our services consist of two visits during the breeding period to guarantee conception. If your female does not get pregnant we offer free stud service the next time she is in heat. 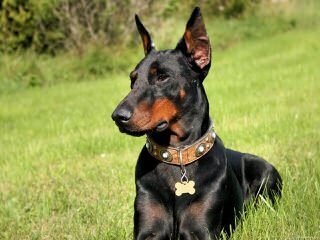 More info…..European Doberman Pinschers are held at a higher breeding standard than the American Doberman. 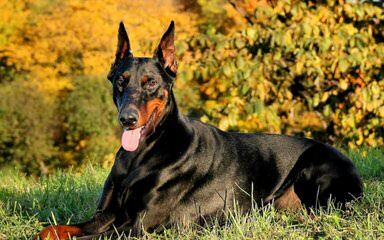 They are not allowed to breed unless they meet the breed standard of conformation, pass hip examinations, pass a temperament test, and at least one parent has to have a working title such as a Schutzhund title. 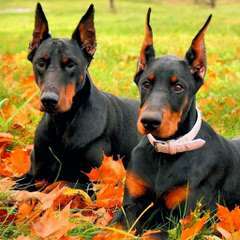 These dogs are larger and more heavily boned than their American counterparts. 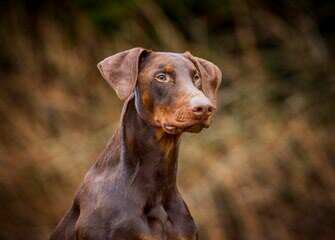 They are very protective, loyal and intelligent and make great family dogs as well..
Dinas Affaraon is a small Dobermann Kennel,dedicated to breed Healthy European pure blooded dobermanns from Champion combinations,suitable for show and work. 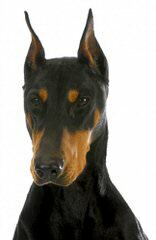 Feel free to contact us any time if you have some questions about the Dobermann breed. 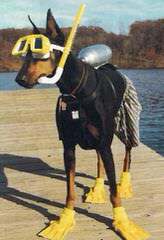 Our kennel works since 1989. 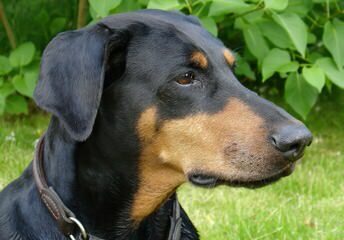 We breed only with quality dogs so that we could keep up with our high quality dogs. Puppies are available all around the year and all over the world, with pedigree,passport, vaccinations, dewormed, microchiped, and cropped and docked if asked. For recent, available litters, please ask for further information in email. 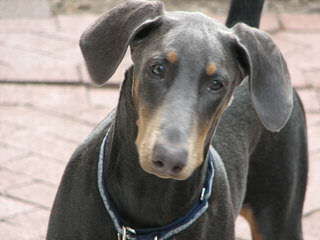 Breeder of quality doberman Pinscher puppies. Show and companion. 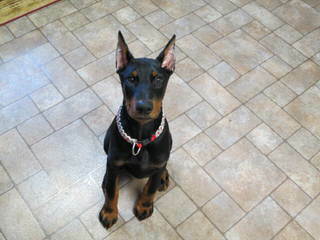 All puppies are sold with ears cropped, tails docked, shots up to date, wormed and crate trained. Raised underfoot with lots of socialization. See webpage for references. We are small kennel in Serbia. 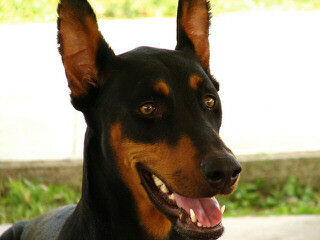 We have mission to breed high quality dobermanns with good health and open character. We can send our dog to any country. 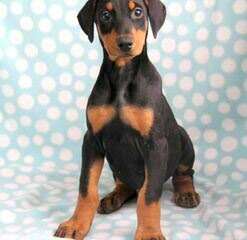 DOBERMAN PINSCHER PUPPIES – Shots, Dewormed, Tails Docked, 600 each FIRM, Sold as Pets/Companion (No Papers). For more info please call 818-675-1080, Serious Buyers ONLY, No Emails Or Text Please. Puppies are Shown by Appointment Only. We are located in Van Nuys,CA 91405, With over 15 years Breeding Experience, Delivery is available at an additional cost. we are a small kennel located in eastern wash .we breed for pet or show .we do not breed our dogs for guard dogs as they are naturally protective of home and family .they are raised around small children and small dogs.we breed american and american euro bloodlines,we do not breed whites .